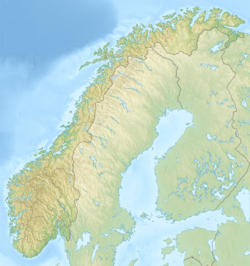 Ranseren (Norwegian), also known as Bije-Ransarn (Swedish) or Bijjie Raentsere (Southern Sami), is a lake on the border between Norway and Sweden. 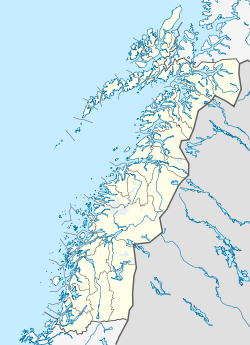 The Norwegian side lies in Hattfjelldal Municipality in Nordland county (and it is inside Børgefjell National Park). The Swedish side of the lake is called Bije-Ransaren, which means "the upper Ransaren" and this part lies in Vilhelmina Municipality in Västerbotten County. South of the Swedish side of the lake, about 0.5 kilometres (0.31 mi) from the border, is a small Sami house that was used as home for the Samis during reindeer marking season. To access the lake, you have to walk about 10 kilometres (6.2 mi) from the village of Stekenjokk in Vilhelmina, Sweden. The brook that flows from the lake on the east side is called Saxån and it leads to the big lake called Ransarn which is located in Vilhelmina Municipality in Sweden. Bije-Ransaren is called the upper Ransarn because of this bigger lake that is called "lower" Ransarn. ^ "Ranseren" (in Norwegian). yr.no. Retrieved 2011-11-16.